1. What can we heal with the Salmanov Baths? With this unique method of healing, we can distinguish three kinds of baths (yellow, white and mixed). 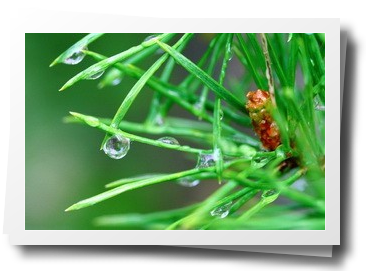 They are widely used and provide good results for many ailments and illnesses. 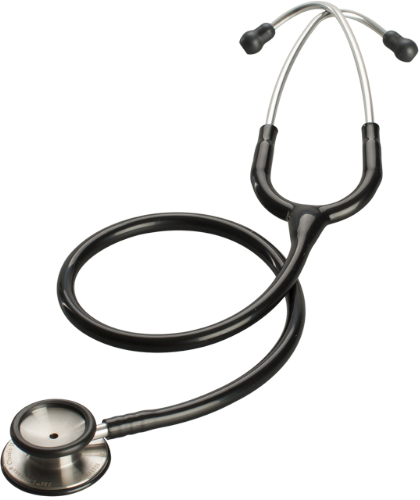 Currently in the field of traditional medicine there exists no similar product with such efficiency and reliability. It is easy to explain why, for each disease it is the network of blood vessels which is the first to suffer. The Salmanov baths regenerate the latter. That is why this method it so effective in helping to treat any disease. 2. Salmanov Baths and heart disease. In 1937 it was demonstrated that the turpentine baths not only dilate and expand the capillaries, but also increase their number and improve the metabolic processes in the myocardium. The result of their use is the reduced risk of myocardial infarction (by at least 30%). The gradual restoration of healthy blood flow after the use of these baths equally helps to rebuild the cardiac muscle. As the Medicines are better assimilated due to the faster, more efficient blood flow which irrigates each cell, it is possible to reduce the dosage of medicines used to rebuild cardiac muscle. Their effectiveness will not be altered it can be even stronger. 3. Salmanov Baths and Bone and Joint diseases. In 1968 scientists demonstrated that these kinds of baths have a stimulating effect on the receptors of the skin as well as improving the metabolism of the nervous, skeletal and muscular systems. This information has encouraged the use of the baths for diseases of the joints, the spine and as treatment following traumas or blows. Russian athletes to this day take baths before competitions in order to boost their performance. 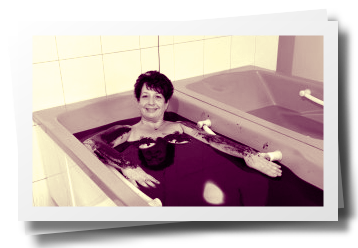 The use of the Baths allows to quickly restore mobility of joints affected by rheumatoid arthritis. We can also observe a clear relief of pain in cases of deforming arthrosis after only five to seven sessions. Following each session the pain is almost non-existant and even disappears for a certain moment. Research has shown that for diseases of the spine, the baths using the white solution stimulate the reconstruciton of cartilages between the vertebrae. We can therefore affirm that they participate in the restoration of cartilages, significantly releiving pain and increasing mobility, all this can be witnessed after only 3 to 4 sessions. 4. The Salmanov Bath Solutions and Diabetes. The yellow sollution is very effective against diabetes. The application of these baths stimulates blood flow to the organs and cells. This prevents gangrene or necrosis. The blood sugar levels diminue as does body weight, this allows to decrease the doses of insulin after around two sessions. 5. The salmanov baths and skin diseases. OClinical observations have shown that the baths help erase scars after burns and wounds. This is why they are often used in cosmetology. Clinical studies have shown a significant rejuvenation of the skin after a single session. It becomes firmer and wrinkles fade. There is also evidence that the white solution stops rashes, psoriasis, scleroderma and neurodermatitis. 6. The salmanov baths for the overweight (and for cellulite). When the microcirculation is restored, the metabolism improves and the level of cholesterol in the blood decreases. We also see an improved circulation to the problem areas, which reduces celulite and fat deposition. If overweight, a long term treatment is strongly recommended. The exact length depends on the number of excess pounds. One can loose up to 15-20kg in just 2-6months. It is worth noting that in such cases , weight loss occurs without any radical change in eating habits. However, a balanced diet and physical activity help to achieve significant results. It is interesting to note that following such weight loss the yo-yo effect is non-existent. The weight loss is a result of the normalization of the metabolism. 7. Salmanov Baths and respiratory diseases. The improved blood circulation to the lungs helps to eliminate inflammation and pulmonary edema. Respiratory capacity increases, and coughing to eliminate mucus and pus is easier. Diseases are combatted much faster. This enables the elimination of toxic substances. It's a real treasure for smokers or people undergoing passive smoking or for those who live dusty / heavily polluted places such as the inhabitants of large cities. The inhalation of the Salmanov bath vapeurs has a bactericidal effect which allows to quickly fight each stage (even those very advanced) of a respiratory disease. It can also be used in prevention against any diseases transmittable by air. These inhalations are recommended for the primary protection of the respiratory tract. Inchaliacje takie zalecane są także dla podstawowej profilaktyki drog oddechowych. 8. Salmanov Baths used in Urology. With the improved blood circulation and thus a better blood supply to diseased areas, the efficiency of medicines is increased. When the prostate is swollen, the baths help to reduce the inflammation and due to the improved blood flow the prostate functions much better. The first negative side effects of an inflammed prostate disappear after 10-12 baths. It has also been proven that these baths are very beneficial in the treatment of infertility and impotence in men. Regenereated capillaries contribute to a better blood supply to every cell of our body. The baths are an effective and rapid method for the restoration of erections. 9. Salmanov baths in Gynecology. The restoration of blood flow quickly calms the inflammatory condition of the basin and stabilizes the hormonal status and the menstrual cycle. Baths balance the metabolism and body mass. The effects of the baths are most noticeable in diseases of the urinary tract and uterine fibroids. 10. The Salmanov Bath solutions and diseases of the nervous system. The restoration of blood flow throught the capillaries improved the irrigation of the brain. It leads to the rapid elimination of cerebral palsy and saresis. It diminuates the rehabilitation time following a cerebral ischemia. The results are already visible after 10-12 baths. The permeability of the nervous system is improved as is the activity of the autonomic nervous system. There is positive results when used to treat sick children who suffered from polio virus, encephalitis or cerebral palsy. 11. Salmanov Baths used for prevention. For ever people having been searching the elixir of youth and have spent fortunes to look younger. Russian researchers say this elixir was discovered by a prominent physician Zalmanov AS (1875-1965). The principals behind action of the baths are incredibly simple. By adding the different mixtures of turpentine and medicinal plants of the two solutions we can see session after session the once closed capillaries dilating and an improvement in the metabolism. It restores the blood flow to and from organs and brings vitality to the organisms cells. Based on the data of dr Zalmanov, his baths alone were very effective in cases where the methods of traditional medicine proved powerless. 12. Which solution should I use? It is certain that the baths act on the organism as a whole, for example, joint pain is treated but we equally find an improved mood, weight loss, wrinkle reduction and easier breathing. In most cases it is necessary to use alternatively the white and yellow solutions. It is at this moment that the dilation of closed capillaries gradually occurs (white solution) and the elimination of toxins (yellow solution). However, there is here one exception; in the case of hypertension or hypotension. Hypertension (high blood pressure) which does not allow the use of the white solution (as this raises blood pressure), in contrast the yellow solution cannot be used in the case of Hypotension (low blood pressure). We discourage the use of one solution alone as the method has been developed so that one bath completes the other, this is why we recommend the use of the 'mixed' baths. In the cases of low blood pressure, we see a stabilization after 8-10 sessions with the white or solution, after this we can bascule to the mixed baths by introducing the yellow solution gradually , for example we can add 15ml to begin with etc. 13. What if there is no bath tub or if hot baths are proscribed? We can equally prepare the baths to soak just the hands or feet, or sitting in a basin filled to the waist. Fill the basin with around 10Litres of water (36-40°C). Separately in one litre of water a little hotter than that in the basin (45°C) we add 4ml of the Salmanov Bath solutions. If we want a mixed bath, the proportions are : 2ml of each. Once prepared, pour the liquid into the basin and rest for as long as you would in a bath for the entire body. During such sessions a tingling sensation can occur. We therefore recommend to apply the oil of the baths over hands and feet. It is also very important to keep hydrated, a drink of hot tea after each bath (in both cases of full body baths and partial baths) and then to wrap oneself in a warm blanket for several hours. The best time is therefore just before going to bed. During these sessions, joint pain diminishes very significantly. Elderly people or those having suffered accidents bear the changes in the weather more easily. Pain disappears after 5-6 sessions. For soreness to be totally eradicated it is necessary to carry out the baths 2-3 times a year. At this point it makes sense to add that those who make regular inhalations (at least twice a week after a two month treatment) totally forget what is to catch a cold. To begin with we measure 3-4ml to one litre of water and gradually we increase the amount with each inhalation until we arrive at 50ml. Those who suffer with cold hands and feet obtain excellent results after around 5-6 baths. The restored blood flow warms the chilled extremities. In reality we are so lazy that the preparation of turpentine baths every other day is problematic. But we mustn't forget that we only have one life and one health. We live in the 21st century where science and technology are constantly developping at an alarming rate but we are yet to discover a better method for the restoration of the entire body and the treatment of most diseases. This is the only method and with such wonderful simplicity. Zalmanov already knew this over 100 years ago.